Join the search to stop innumerable cults worshipping a single, dreaded being in Masks of Nyarlathotep, a new expansion for Eldritch Horror from Fantasy Flight Games, inspired by the classic Call of Cthulhu roleplaying adventure! 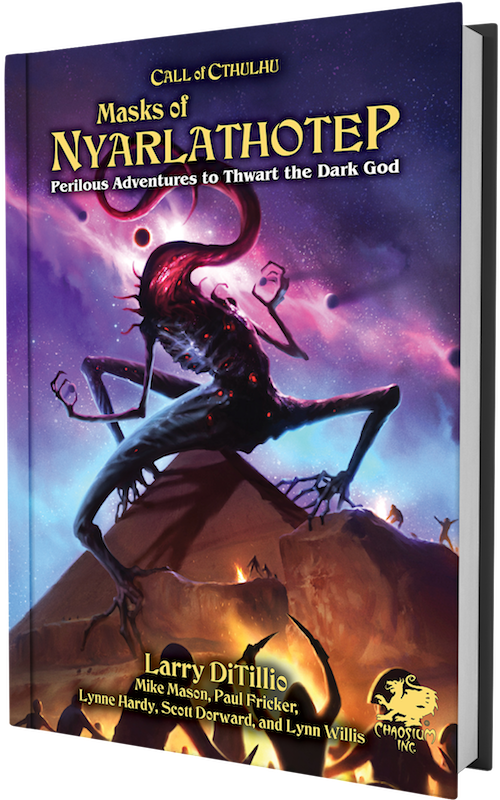 At the same time, you can experience the adventure anew in your roleplaying group with a new edition of the Masks of Nyarlathotep adventure from Chaosium that brings the definitive Call of Cthulhu roleplaying campaign into the game's seventh edition. From this story's inception in the first edition of the Call of Cthulhu roleplaying game, the dark horrors of Nyarlathotep have thrilled and delighted fans around the world. With this expansion, Fantasy Flight Games worked closely with our good friends at Chaosium to learn the midnight secrets and terrifying truths of one of their most famous Ancient Ones—and we're thrilled for you to experience that in Eldritch Horror and the Call of Cthulhu RPG. 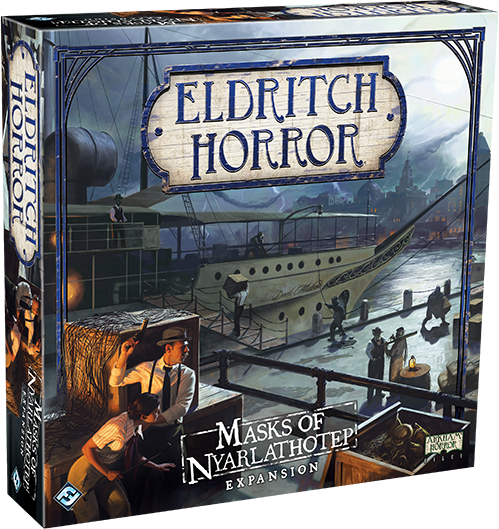 The Masks of Nyarlathotep expansion for Eldritch Horror is now available for pre-order from your local retailer or the Fantasy Flight Games website here! For more information on the Masks of Nyarlathotep adventure for the Call of Cthulhu RPG, visit their website here!